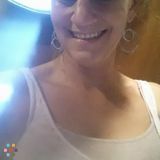 Want to connect with Angeliec? Hello my name is Angel and I would be interested in the nanny position. Until recently (the family moved out of state) I was a nanny for a 2 year old little boy, I started with him when he was 6 months old. I am currently attending Ashford University to obtain my Masters in Early Education. Not only will I love and care for your child I will start/continue on with his/her learning. I work with the child on ABCâ€™s, numbers, colors, shapes, reading to child, etc. I also love to play and am a great friend to your child. I believe playing is learning and there will be plenty of playing indoors and out. I am not afraid of a little hard work so I am willing to do things around the house that may need to be done. If I sound like a match for your family please feel free to email me at ...@gmail.com. I look forward to hearing from you. Hello my name is Pamela. I am looking for nanny or sitter day or night.